In the two-plus years since the original iPhone was introduced, Macworld has written tens of thousands of words about Apple’s snazzy touch-screen device. And now we’re releasing the latest in our Superguide series of books, the iPhone Superguide (Second Edition), which takes the very best stuff we’ve written about the iPhone over that time and boils it down into a useful 154-page volume. Now, why in the world would Macworld publish an entire book about a device that’s supposed to be so intuitive? It’s a question I get a lot, including from people at Apple. Their goal—and it’s a smart one to shoot for—is to make an incredibly complex technology as easy to use as possible. And the iPhone is easy to use, which is one reason it’s so appealing. But make no mistake about it: the iPhone is a computer. And a full Web browser. And an e-mail client. It can run thousands of programs written by independent developers, connect to Wi-Fi networks, and even log in to your employer’s VPN. As easy as it is to use, the iPhone has an ocean of depth. Our goal when we assembled the iPhone Superguide was to help you plumb those depths and uncover more of your phone’s hidden potential. In the pages of the book, we give you not only the basics but also more-advanced tips, tricks, and troubleshooting advice. And it’s all boiled down into a single, convenient volume—either in PDF format ($12.95) on your Mac’s hard drive or in a convenient paperback book ($19.95) that’s the perfect companion to your iPhone. The book works for Mac or Windows users and covers both versions of the iPhone and the iPod touch. For more information about how to buy the book, visit our iPhone Superguide information page. And if you want to see more before you shell out for this book, I don’t blame you: We’ve created a 19-page, 2.2MB downloadable sample that includes the book’s complete table of contents as well as sample pages. 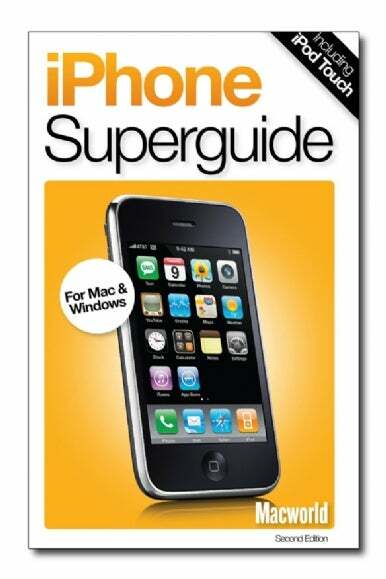 Also available in our Superguide series are the Mobile Mac Superguide, Mac Security Superguide, Mac Basics Superguide Leopard Edition, Mac OS X Hints, Total Leopard, the Macworld Digital Photography Superguide, and the Digital Music and Video Superguide. We think they’re really great books, and we think you will, too.